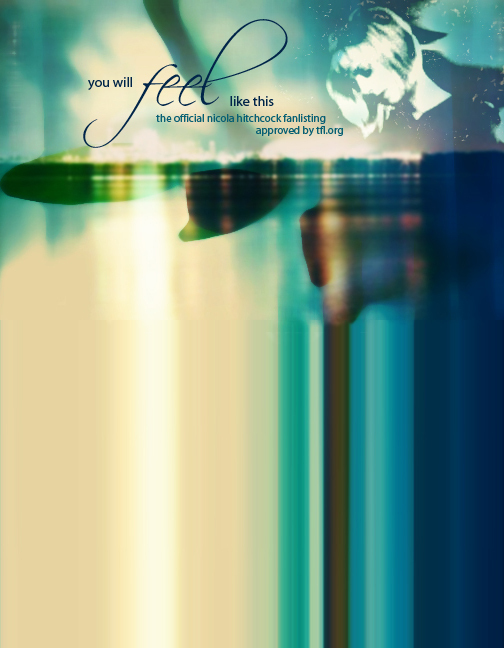 Welcome to You Will Feel Like This, the one and only official fanlisting approved by The Fanlisting Network for former Mandalay lead singer, Nicola Hitchcock. This fanlisting was opened on October 16, 2005 by Vicki and is part of youlooksofine.com. If you have any questions or comments, feel free to e-mail me. It is a place for everyone around the world who share a common interest to come together and build a listing for that particular interest. This particular fanlisting is focused on the singer Nicola Hitchcock. Many will know her from her previous trip-hop group Mandalay. She has also appeared as a featured vocalist on several hit DJs singles.